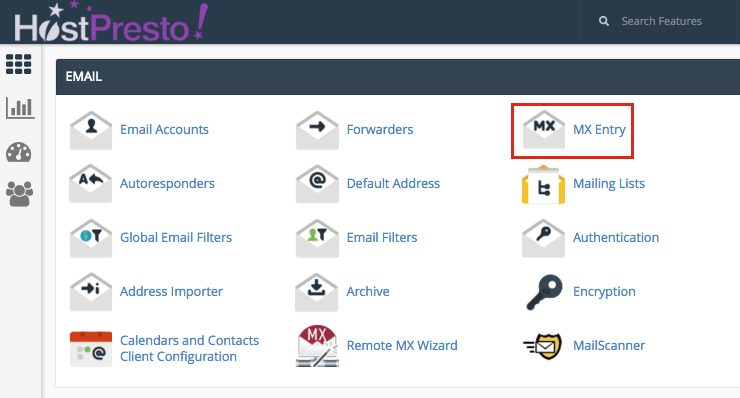 You can point your email to another provider by editing a record via your cPanel control panel. This article assumes that you already have another email provider in place and that you've been provided with the relevant information to point your email address to them. Scroll down to the the 'Email' section and choose 'MX Entry'. Scroll down to the 'MX Records' section. You should find your current email provider listed. To point this to another provider, choose the 'Edit' option. Change the 'Destination' to your alternative email provider. Complete the process by choosing the 'Edit' button at the bottom. Please note that it may take at least an hour for the update to take effect. Pointing your email to another provider is now complete. How Do I Point My Domain to Another Provider?